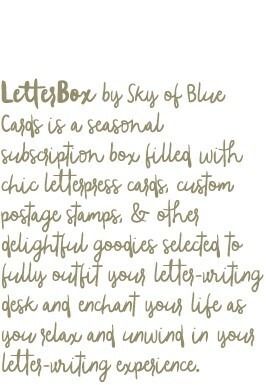 LetterBox By Sky of Blue Cards are seasonal collections thoughtfully curated by Sky of Blue Cards’ founder and designer Karla Ebrahimi. 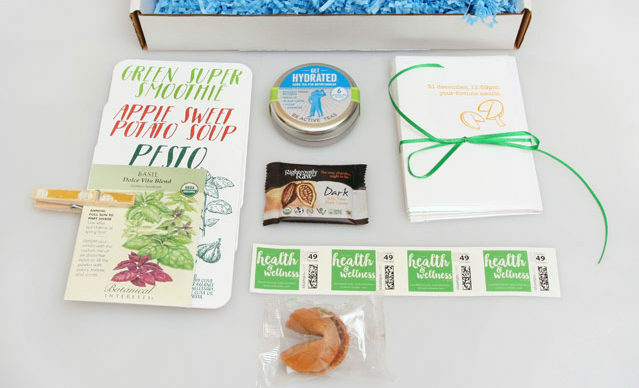 They will be sent out to subscribers seasonally — four times per year. 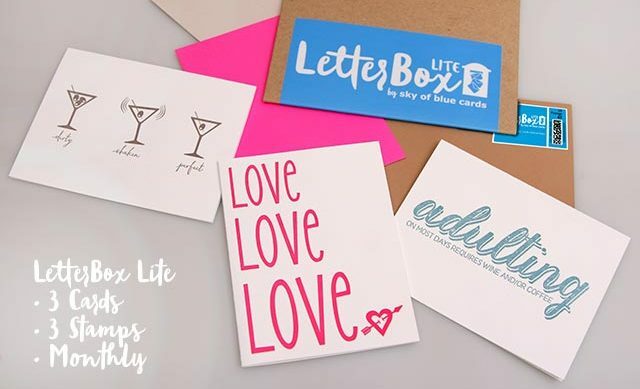 Each box will include 5 of our gorgeous and chic letterpress cards, 5 custom-designed postage stamps, as well as at least two luxe lifestyle items and letter-writing accoutrements. 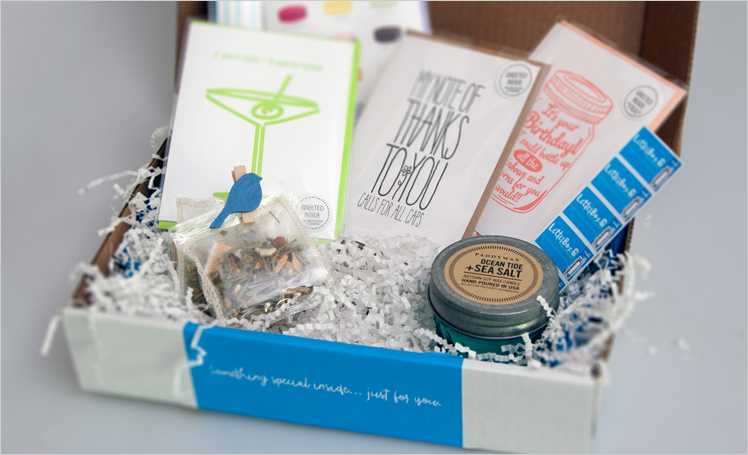 These items might include Karla’s favorite soy travel candles, wine bottle tags, coasters, writing pens, relaxing herbal teas, or special Fleur de Sel caramels from Karla’s favorite shop in San Francisco. 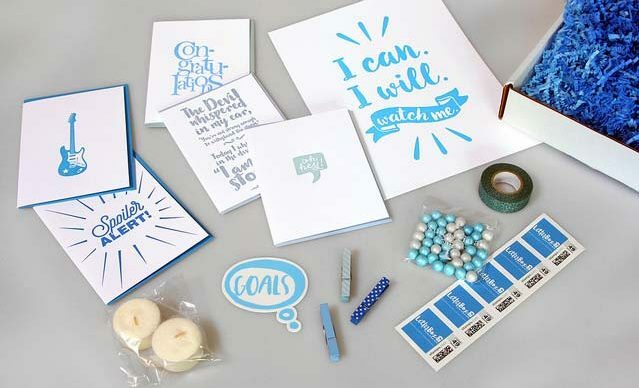 Periodically we will include letterpress paper items not sold in stores and available only to our LetterBox subscribers. 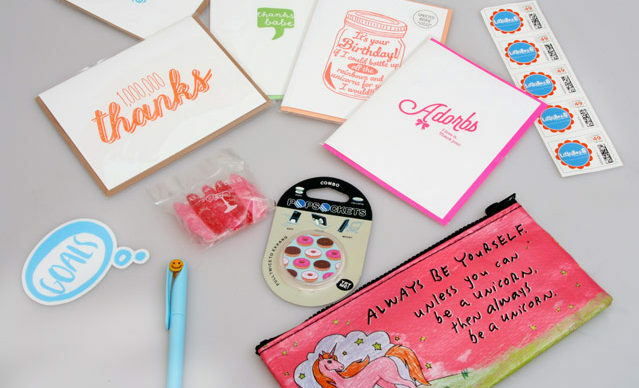 Full-year subscribers will receive a custom-made beautiful solid Maple block stamp with their name and address on it accompanied by an ink pad to address their envelopes in style. 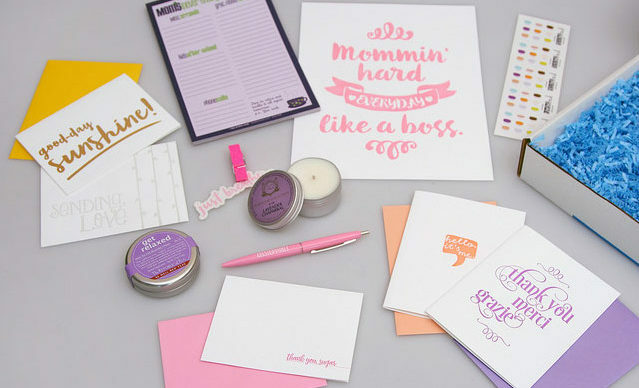 Our hope is to outfit our subscribers’ letter-writing desk with all the best stationery and accoutrements and offer them a beguiling experience… to sit down, relax, light a candle or have a cup of tea while they write some letters. 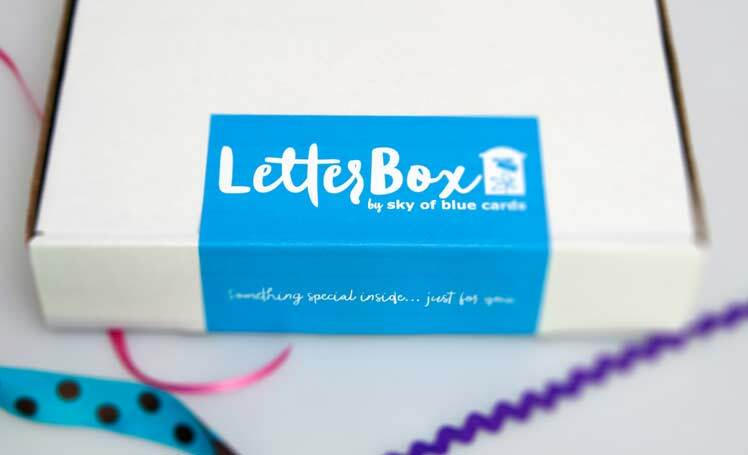 For those of you who always want to have greeting cards, stationery, and postage stamps on-hand, but don’t necessarily want all the extras, we offer LetterBox’s little sister — LetterBox Lite! 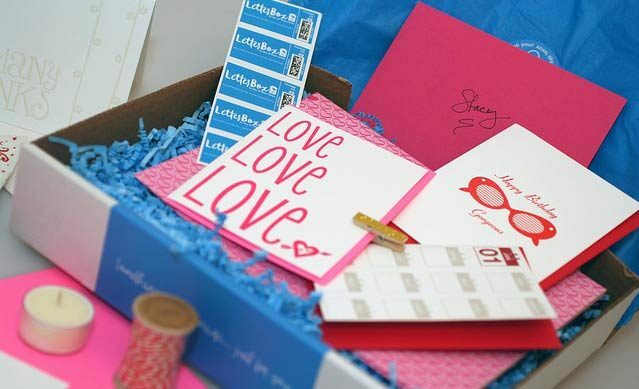 LetterBox Lite is a monthly subscription. 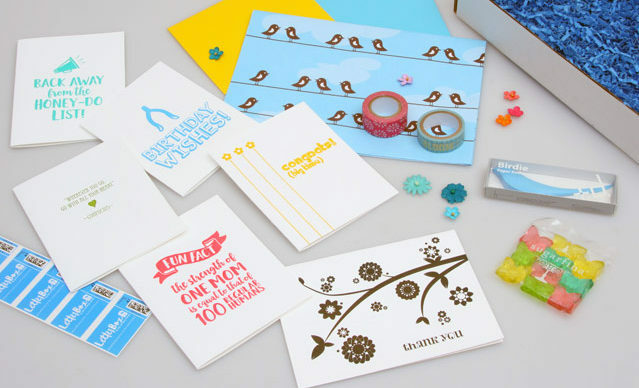 At the start of each month a sturdy kraft mailing envelope will arrive containing three letterpress cards. One of the included greeting cards will be themed specifically to that particular month (Valentine’s Day, Mother’s Day, etc. 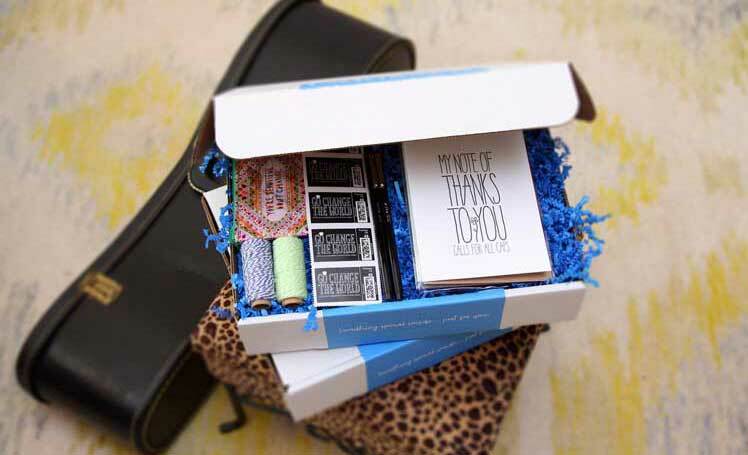 ), the other two selections will range from birthday greetings and other everyday occasion cards, to note cards and thank you cards. Each card will come with a corresponding envelope with a special-designed U.S. postage stamp already in place for mailing. LetterBox Lite can be canceled at anytime. Why the name Letterbox? We love the origins of the word. “Letterbox” or “Letter Box” is the name the British call their ubiquitous red mail boxes originating in London in the 19th Century. It is also a very cool geo-cache type of game originating in England in 1854. We thought it perfectly depicts what it is that we want to share with the world — the love of letter-writing and our desire to bring back the written word. 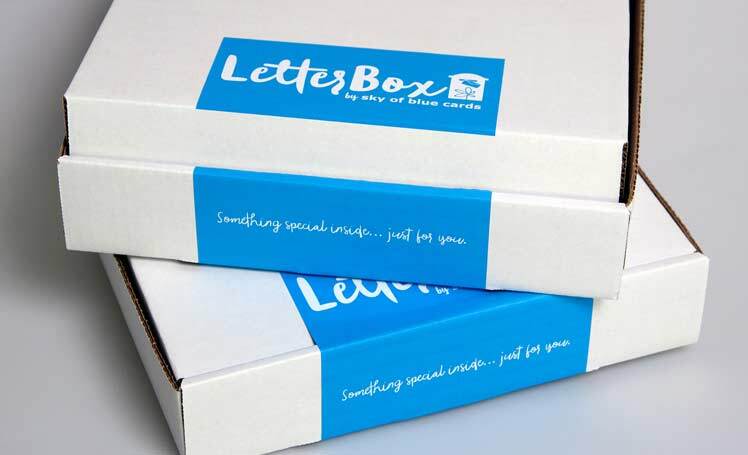 We know you will be looking forward to your LetterBox or LetterBox Lite arriving at your doorstep!